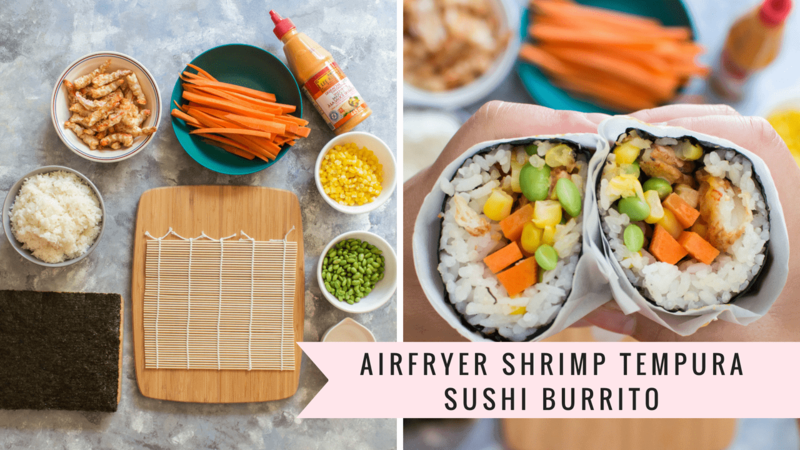 This AirFryer Shrimp Tempura Sushi Burrito is the perfect lunch meal prep! 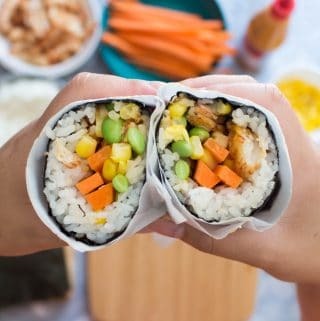 Easy to grab and go, heat not required, and healthy, this sushi burrito will be your go-to lunch! Shrimp tempura is always my go-to topping when ordering sushi burritos, however, the whole deep frying it in hot oil isn’t exactly the healthiest. 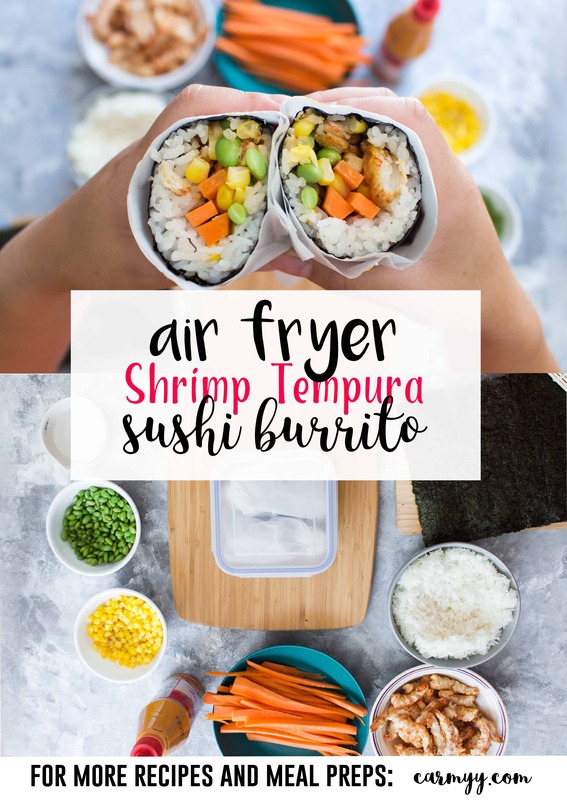 As an alternative, to cut down on the calories without sacrificing the crunch of shrimp tempura, I use my trusty handy dandy Philips Turbostar Digital Airfryer for this recipe. 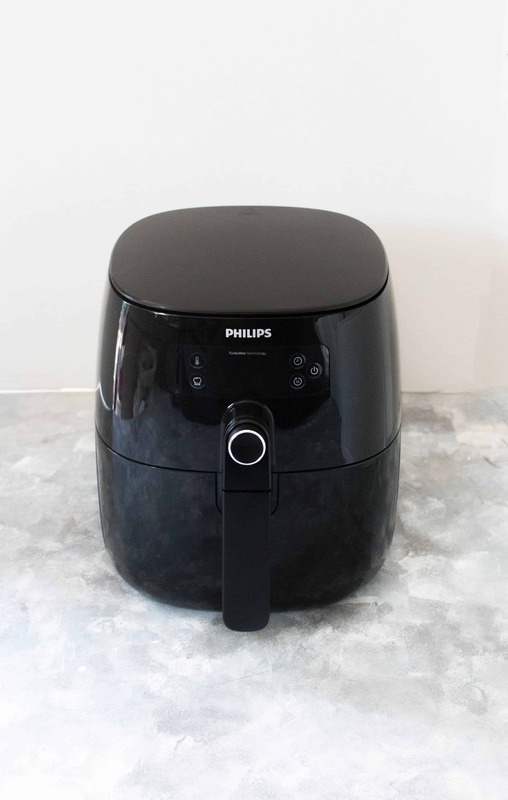 The Philips Airfryer mimics the results of deep frying with nothing more than hot air and little to no oil! The Philips XXL Airfryer, which launches this September, can fit even more into the basket! This way you can make larger batches of food which is perfect if you’re feeding a whole family or want to meal prep faster. The XXL can hold up to 3lbs and easily handled a whole chicken! It also removes excess fat from the food, capturing it all in the bottom of the Airfryer. No other airfryer on the market can do this! Stay tuned to see how I use my XXL Airfryer in an upcoming recipe! I later added “Everything but the bagel” seasoning from Trader Joe’s to the rice; You can also use McCormick’s Everything Bagel seasoning available in Canada! Sushi rice tends to be very sticky so keep a small bowl of water nearby for you to dip your fingers in before handling and spreading the rice. Do not over-stuff! I use two nori sheets to ensure everything stays together. If you put too much filling in, it might not roll up properly. A bamboo mat helps you roll your burrito better – I’d recommend purchasing one if you’ve never rolled sushi before. If you want an extra bit of flavour, you can add sushi rice seasoning to the rice, however, I find that the sriracha mayo has enough of a kick to satisfy me. Let the sushi rice cool fully, you can do this quickly by spreading it onto a baking sheet and setting it aside to cool off. 3.5 cups of uncooked sushi rice makes 9 burritos for me. When super hungry, I can eat 2 burritios. Between the 1 a day for me and 2 a day for H, this lasts us 3 days. You want to store the burritos in the vegetable crisper to help prevent the rice from hardening when cold. Store in an airtight container to keep the rice from hardening too quickly. When using the airfryer, make sure to let the excess tempura mixture on the shrimp drip off before adding it to the basket. I do this by placing a cooling rack on top of a cutting board or sink and setting the shrimp on top for the batter to drip off. On your stove top or rice cooker, cook 3 cups of sushi rice (1 part rice to 1 1/4 parts water). While the rice is cooking, prep your shrimp by cutting the inside of the shrimp (see video) to stretch the shrimp into a straight shape. Once the shrimp is ready, mix together your tempura powder and dip your shrimp into the batter. Let excessive batter drip off the shrimp on a rack before placing it into your Airfryer basket. 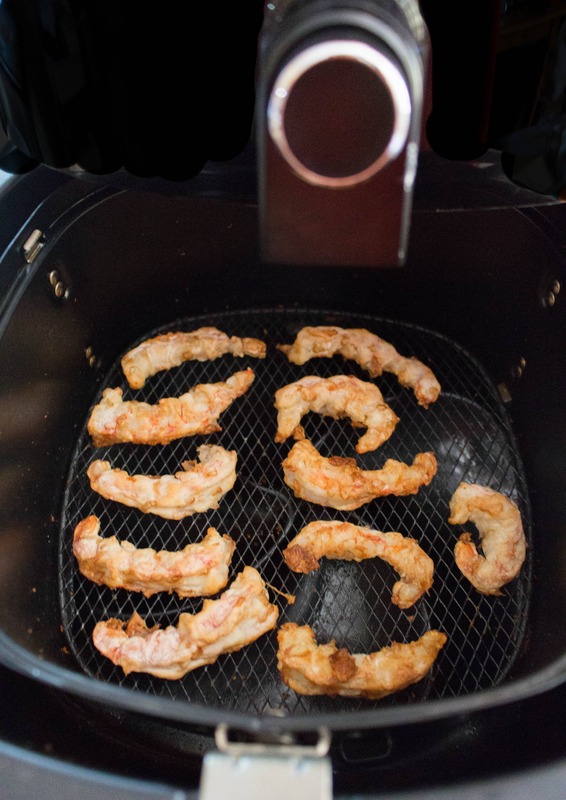 Without having to pre-heat the airfryer, place them in to be cooked for 9 minutes at 375F. 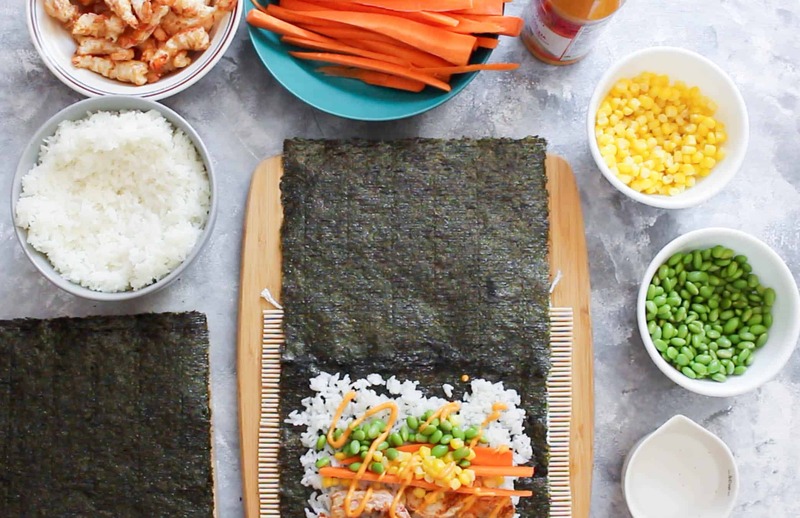 Take a sheet of nori, and lay the shinier side down. Dip your finger into water and side it across the top of the nori sheet and then place a second sheet down, overlaying an inch or so. 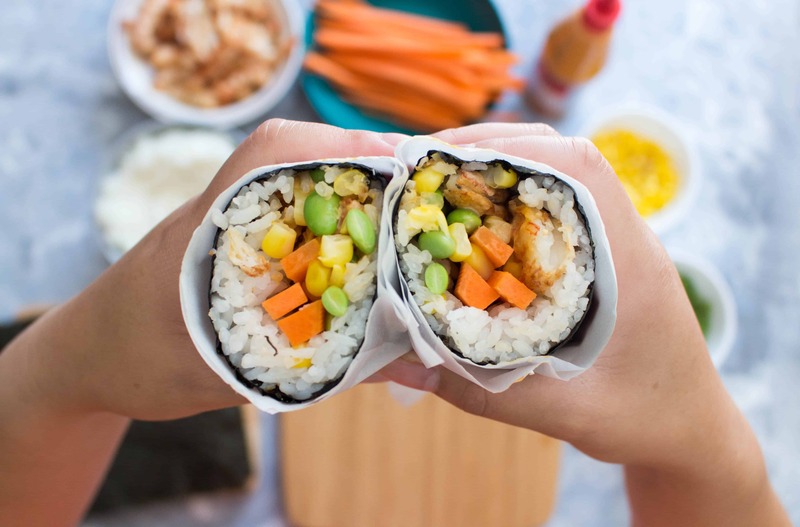 This doubles your nori sheet in length so when you roll your burrito, everything stays inside! 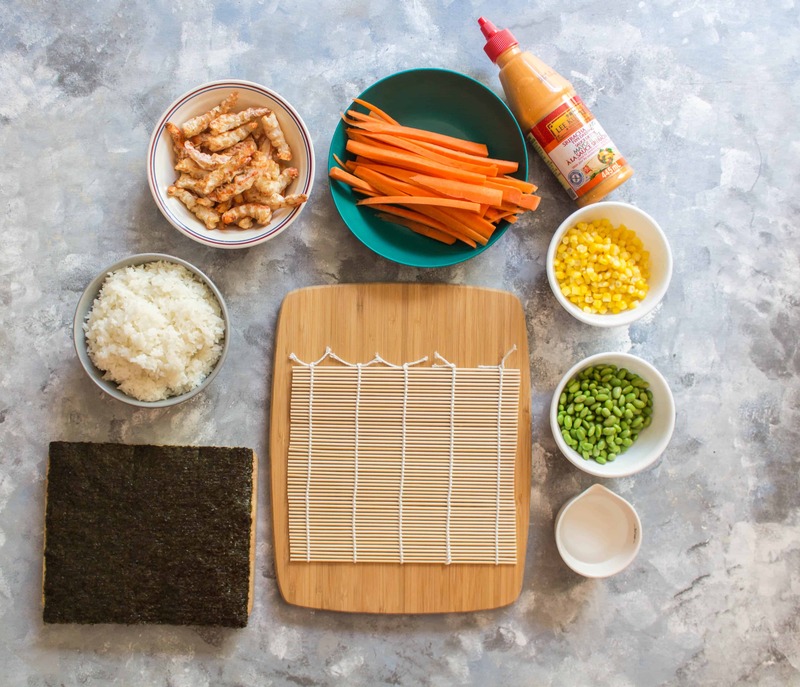 Keeping your fingertips wet, spread the rice on top, making sure it covers the entire surface of the nori before laying down your other ingredients (corn, edamame, carrot). Top off with your dressing of choice, I use sriracha mayo. Roll up your burrito and then wrap it with a piece of parchment paper. Seal the ends and store it in the fridge's vegetable crisper in an airtight container to prevent the rice from hardening. I cut my rolls in half and stored them in a Tupperware container to prevent them from being crushed in a bag. The burritos should be good for around 3 days as the longer it is stored in the fridge, the more the rice hardens. Cut down the recipe by half if you're making it for one. 9 Is enough for us for 3 day. If you are worried about hardened rice and want to reheat the burritos, just skip adding the sauce to the burrito and have it served on the side. 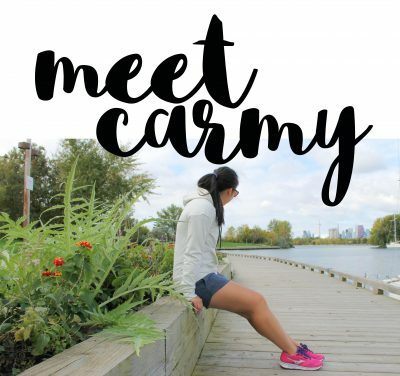 Want more Back To School Meal Prep Ideas? hehehe, I think I’d definitely fall victim to overstuffing my sushi burrito!! 😛 You’re making me want to get an air fryer!